It feels like almost every week a new activewear range is launched, and whilst the choice of workout wear is seemingly endless, finding gym gear that is as functional as it is fashionable can definitely be harder than you think. So I’m always impressed when a fitness range with a technical background is launched – and the new Musto SS16 Women’s Fitness collection is no exception. When Musto asked me to try out some pieces from the range, I must admit I was a little surprised. Whilst I associate the brand with sporting quality (it has a Royal seal after all! ), I also associate it more with sailing than fitness – they have been producing performance apparel to protect ocean racers for over 50 years. But with a pedigree like that I was curious to try out their brand new pretty but performance lead pieces. 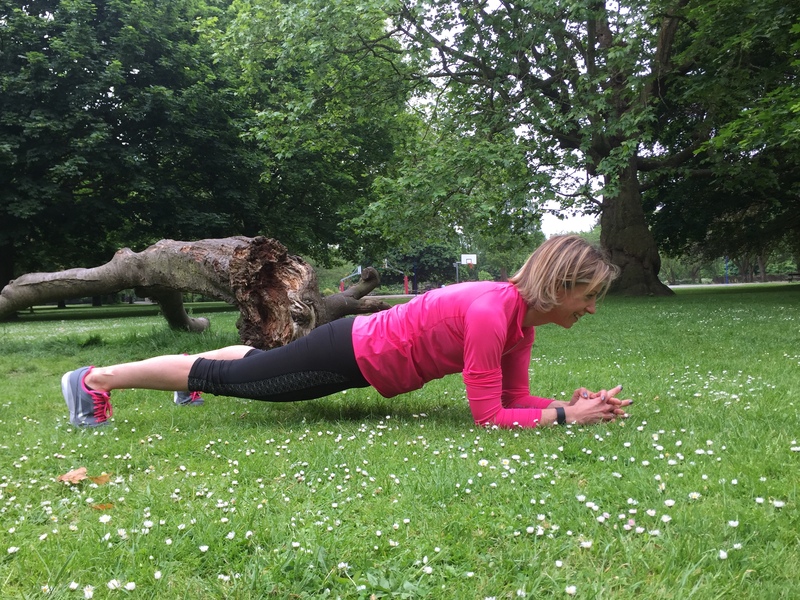 I tried my new outfit out in Ravenscourt Park last weekend – a steady jog to the park, an intense sprint and lower body conditioning session whilst I was there and then a walk back home (with a coffee stop on the way, of course!) 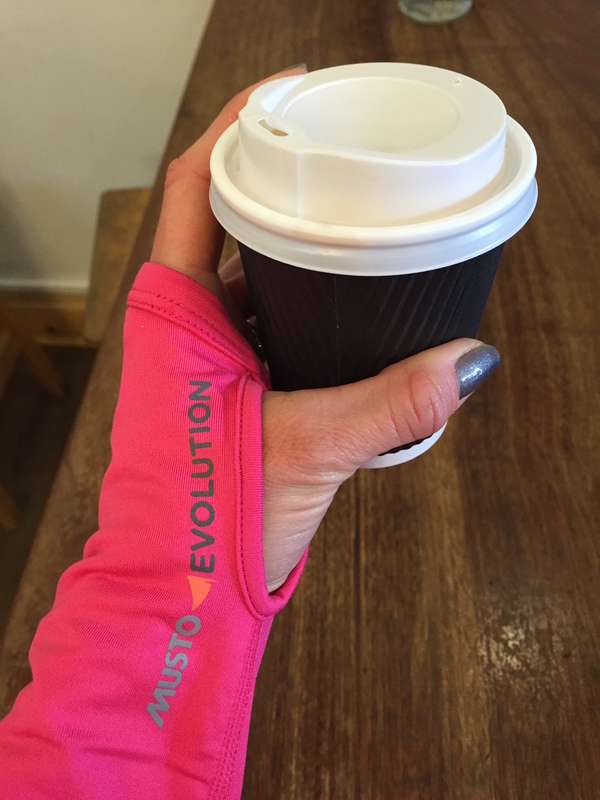 The Light Warm Up Zip Neck top kept me warm as my heart rate dropped on the way back, but kept me cool whilst I was powering through my sprint training, and the leggings are genuinely some of the most comfortable I’ve ever worn. 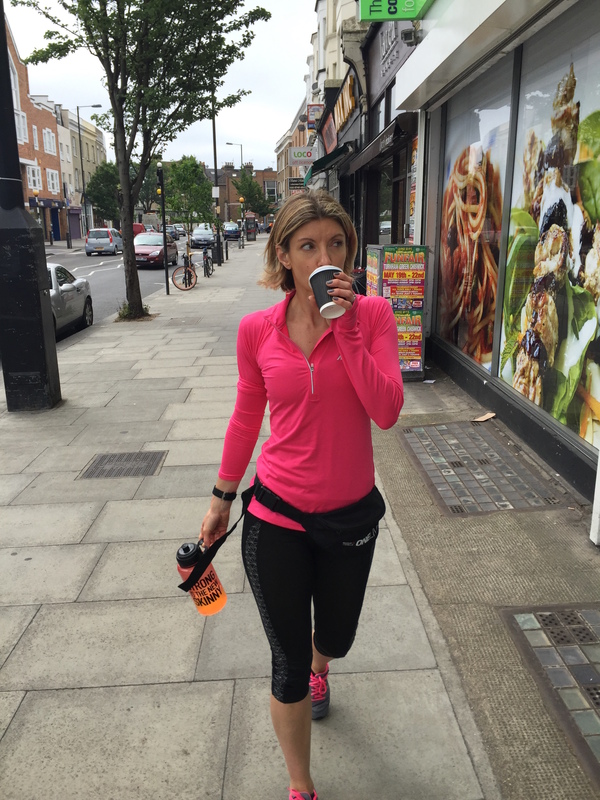 I do love compression tights but they can feel a little bit restrictive, these Summer Sprint leggings held everything in place but felt super lightweight and breathable. I can genuinely see them being a Summer wardrobe staple – they look and feel great. As any Fitness Blogger knows though, the real test of new activewear is whether it looks good enough to wear to brunch after your workout…. Passes the test pretty well wouldn’t you say?! I love these pieces and you’ll be seeing me in them a lot over the coming months, but there’s plenty more in the collection to check out – shorts, vests, hoodies and even holdalls – Musto is a must-have in my activewear wardrobe. Thanks so much guys for letting me give it a try – cheers!